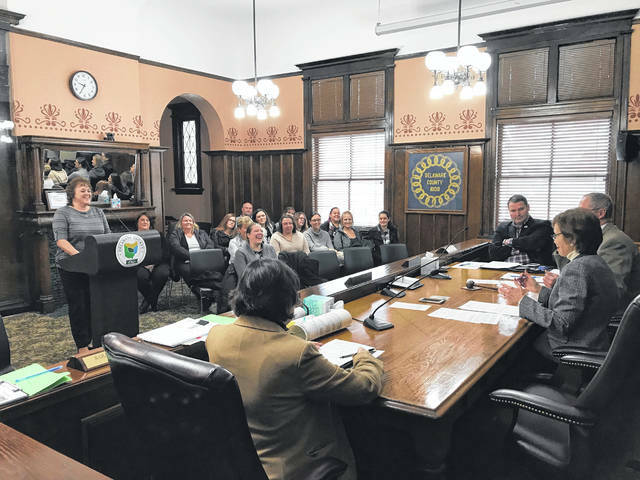 Delaware County Child Support Enforcement Agency Director Joyce Bowens (at podium) and members of the CSEA team are pictured meeting with the Delaware County Board of Commissioners on Jan. 14. Last month, the Delaware County Board of Commissioners recognized the Delaware County Child Support Enforcement Agency for the awards it recently received from the State of Ohio’s Office of Child Support. The CSEA helps parents and children by establishing paternity, locating individuals who have a duty to pay child support, supporting the enforcement of support and medical orders, and enforcing the collection of support payments. Accompanied by members of her staff, CSEA Director Joyce Bowens announced that their department was recognized as the best in the state for the “Medium Caseload Division” for Collections on Current Support and Collections on Cases with Arrears, and for Best Overall Performance. 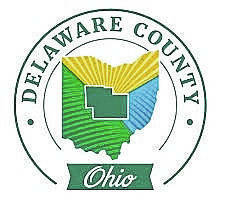 Additionally, Bowens noted that Delaware County’s total disbursement per total full-time equivalent employee, which is a measure of cost effectiveness, was $18.56. Translated, this means that in 2018, the Delaware County CSEA collected $18.56 for every dollar it spent. By comparison, Bowens said, the state average last year for all caseload-size divisions was approximately $4.50. For more information about the Delaware County Child Support Enforcement Agency and the valuable work it does, go to: https://childsupport.co.delaware.oh.us/.